FORMER Midlands Provincial Affairs Minister Jason Kokerai Machaya was yesterday denied bail when he appeared in court facing charges of criminal abuse of office. Through his lawyer Mr Norman Mugiya, of Mugiya Macharaga Law Chambers, Machaya pleaded not guilty to criminal abuse of duty as a public officer when he appeared before Gokwe Magistrate Ms Sithabile Zungula. He was denied bail and was remanded in custody to 15 January for commencement of trial. 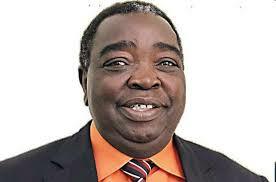 The State’s case against him is that during the period between 2011 and 2017, Machaya who was the Governor and Resident Minister for Midlands used his official powers to acquire 1 000 residential stands in Mapfungautsi area which is under Gokwe Town Council. This was contrary to Government policy which allows the Ministry of Local Government, Urban and Rural Development to acquire just 10 percent of total stands as per requirement of the Commonage Law. As a result Gokwe Town Council lost revenue in respect of 700 stands. Machaya allegedly further imposed a land developer known as Striations World Marketing Property Developers to service and sell stands without following proper tender procedures. Machaya was picked up by police on Thursday afternoon in connection with the case of abuse of office, the same day in which former Minister of Agriculture, Mechanisation and Irrigation Development Joseph Made was arrested. President Emmerson Mnangagwa has made the fight against corruption one of his priorities to stem the scourge.